Darcyii is perhaps the most accepted name worldwide although it started off as oresbia and probably was not registered so ‘someone’ decided to change it. This is a good plant for red flowers in summer no matter how hot it is. The plant will grow roughly a metre high but will be semi dormant in cold winters. It has very sticky foliage. Best grown in sun but it can take a bit of shade. Darcyii sets seed which germinates readily or can be grown by cuttings. There are many crosses with microphylla et al. 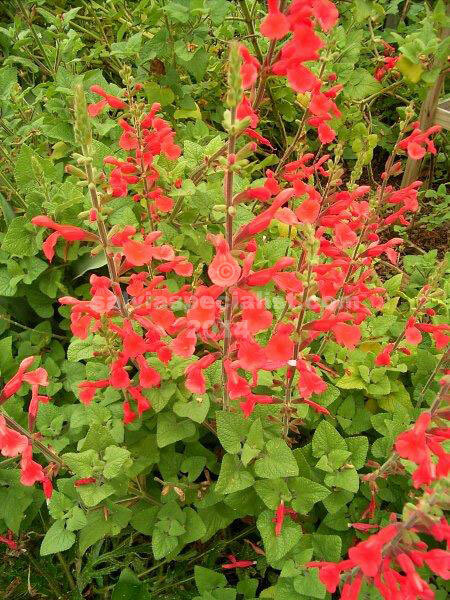 One imported one is ’Silke’s Dream’ which is an orangey red and the foliage looks more like microphylla. A local cross is ‘Josh’ a sprawly bright red flowered plant in summer. Winter it is dormant. Darcyii is drought and cold tolerant.